Plagued with doubt and uncertainty in sensory knowledge, Descartes is struck with the idea that everything he knows is false. He considers the possibility that he has been deceived by an ‘evil demon’ and is left with nothing to lean on, until he arrives at the phrase ‘cogito ergo sum’ (‘I think, therefore I am’). Clinging to this, he proceeds to reconstruct his doubted world and redefine his understanding. 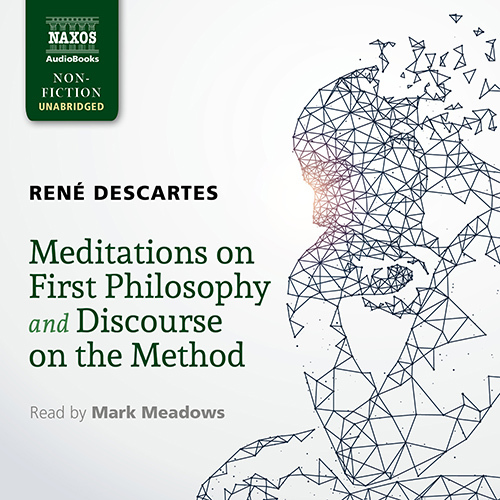 Among the most quoted philosophical works in history,Â Meditations on First Philosophy andÂ Discourse on the MethodÂ together display the full workings of Descartes’ sceptical method and the formation of his famous phrase.Â MeditationsÂ sees him apply the method in a quest to find indisputable knowledge, whileÂ DiscourseÂ is his exposition of the technique.